ALL LIVING THINGS NEED SAFE HABITAT TO THRIVE. THAT'S A CHALLENGE FOR BIRDS IN A SHRINKING WILD LANDSCAPE. 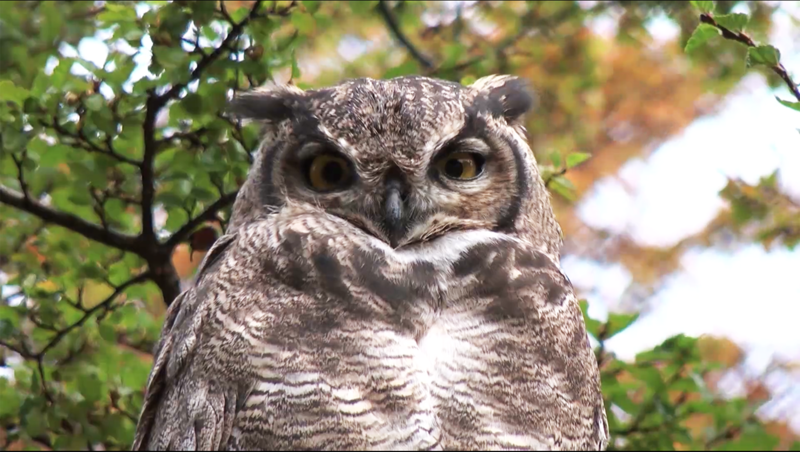 HOW CAN BIRD SANCTUARIES MAKE A DIFFERENCE? Hey, teachers and educators!! 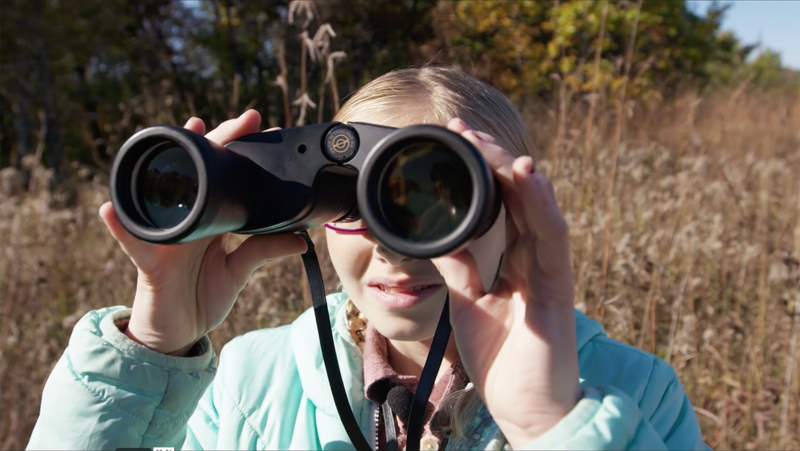 Don’t forget to check out the advanced overview for some quick-start birding lessons in your classroom plus the lesson plans below. 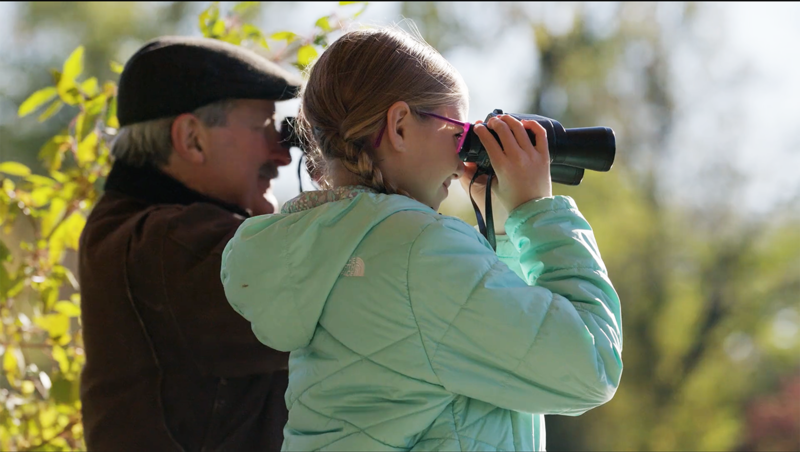 Did you know that more than 45 million people in the United States are birders? That means one out of seven people you meet enjoy searching for and identifying these important feathery animals. Scientists are now predicting that almost half of our North American birds are at risk of extinction within the next 100 years. Currently, the U.S. 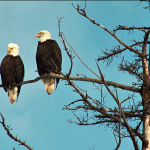 Fish and Wildlife Service has listed 90 bird species as endangered, or in other words, near extinction. You may be wondering why so many birds are in trouble. There are multiple reasons accounting for this threat, such as the expansion of cities, pollution, or clearing of forests. However, one of the largest threats to bird survival is habitat loss. Habitats are like your house: they provide food, water, shelter, and space for the bird. And today, birds are losing their homes due to human impacts. 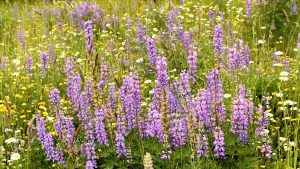 For example, humans have converted 290 million acres of native grasslands into agricultural fields within North America. 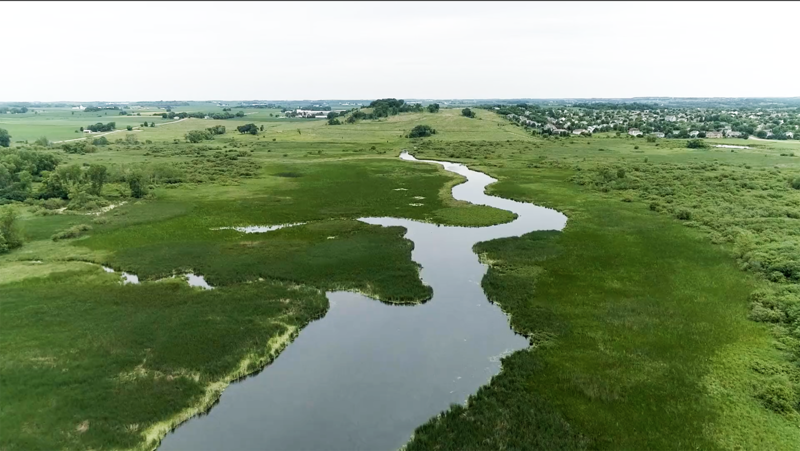 These rolling hills of grasses and flowers are one of the most rapidly disappearing habitats in the western hemisphere and are home to many bird species, such as a “ricebird” called the bobolink. With fewer and fewer grasslands to breed and live in within the last 40 years, our bobolink populations have decreased by 50 percent. So what can we do to keep or regain habitat for birds? Organizations of people across the country aim to reduce the threat of habitat loss by building sanctuaries or conservancies. 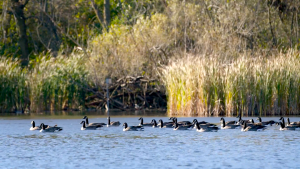 These sanctuaries and conservancies are refuges for birds because they protect, manage, and restore habitats that birds depend upon. Thinks of these places as hotels. When birds are in need of a new home, looking for places to find a partner and raise a family, or searching for a place to rest while traveling south for the winter, a bird will ‘check in’ to one of these hotels. Here, a bird may visit family and friends, eat lots of natural food, drink clean water, swim in the pool, and sleep in a safe space. Sounds fun, right? Additionally, every bird species is unique and requires certain characteristics in their habitat. Therefore, a ‘hotel’ staff must work hard and long to create and maintain a sanctuary or conservancy that provides a vast array of habitats for as many bird and wildlife species as possible. 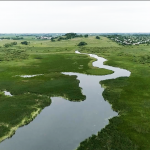 For instance, you may find habitats ranging from tallgrass prairies and oak savannahs to mature hardwood forests and temperate rainforests to open wetlands and coastal beaches in a conservancy or sanctuary. But sanctuaries and conservancies cannot build themselves. 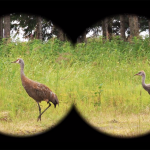 Watch these two videos and learn how avian stewards like you can help sanctuaries and conservancies reach to the skies and create quality habitat for birds. Our educational partner, American Transmission Company (ATC), supported the video content above. 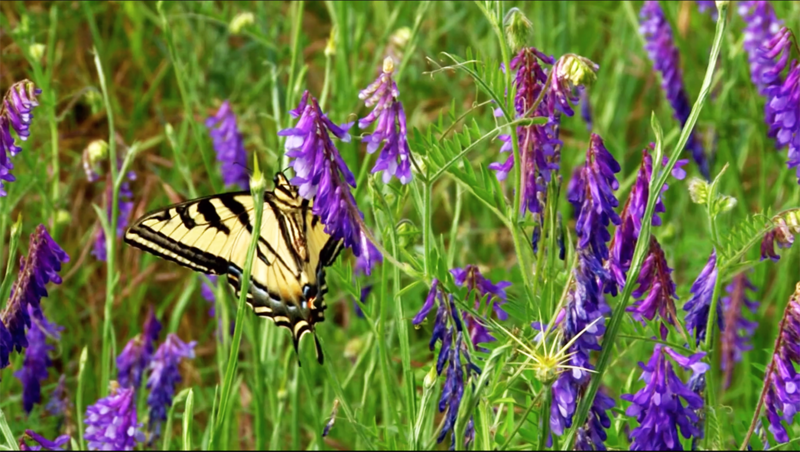 To learn more about their pollinator program, check out the link below. Also, look out for ATC’s new bird identification field guide! Book copies may be purchased at the Bay Beach Wildlife Sanctuary in Greenbay, Wisconsin. Help your students take wing and incorporate these activities into the classroom. Or simply, check out the lesson guides below! Research Project and Field Trip: Challenge your students to explore avian ecology and reward them with a field trip! First, do a little digging yourself. Search for sanctuaries or conservancies within a 50 miles radius of your school. Next, divide your classroom into groups of four and then assign each group to investigate one of these conservancies and sanctuaries through online research. – What are four unique birds you can find at this sanctuary/conservancy? 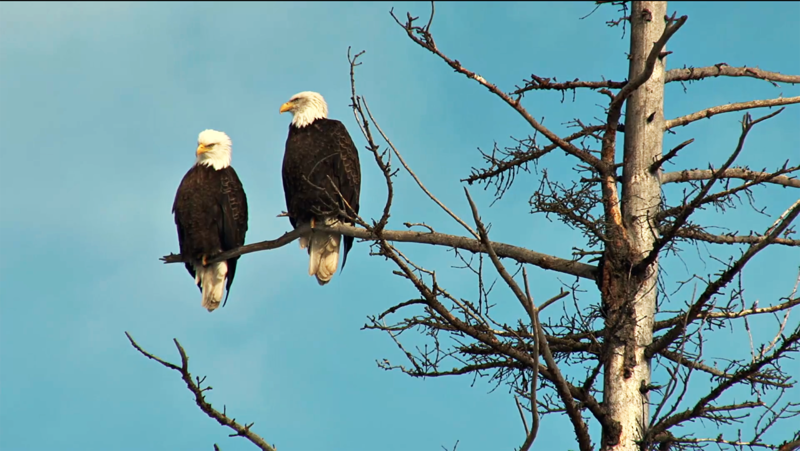 – What are some unique facts about these birds? – How common are these birds? – Currently, what threats are there to these birds? 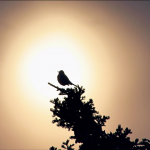 – What are the birds’ ranges in the U.S.? – What are their diets? – What habitat do they need to survive? 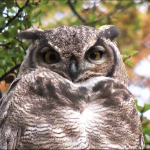 – What types of habitat does your sanctuary/conservancy have that is beneficial to the birds? Then appoint each of these groups to give a presentation and pretend they are tour guides of the sanctuary/conservancy. Once everyone has given their presentation, hold a classroom vote; which sanctuary/conservancy would they like to take a field trip to? Now’s the fun part. It’s time to stretch your wings and soar on over to the conservancy or sanctuary your class picked! 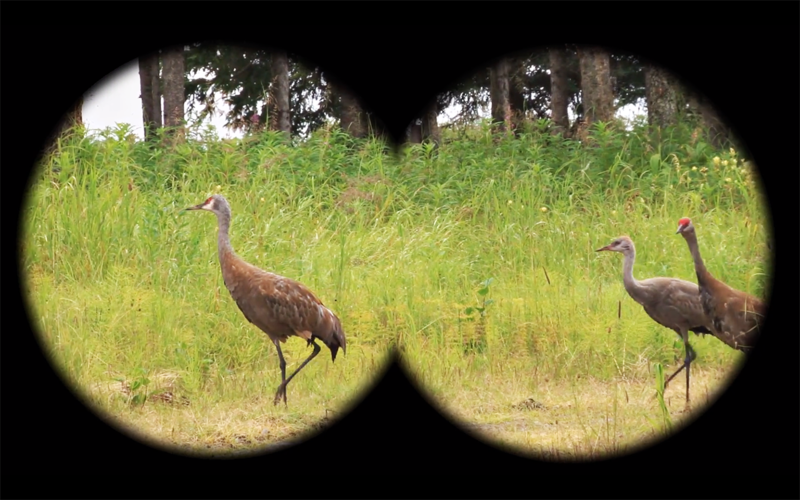 Remember to bring your binoculars and keep your eyes peeled. 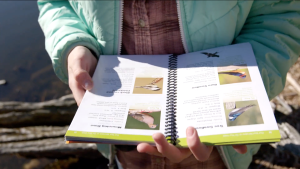 Together, you and your class can search the skies for the birds you learned about! And don’t be afraid to ask the staff how they manage the habitat for these birds. Schoolyard Planting: Create habitat for birds in your own schoolyard. Ask your students what habitat consists of: food, water, space, and shelter. 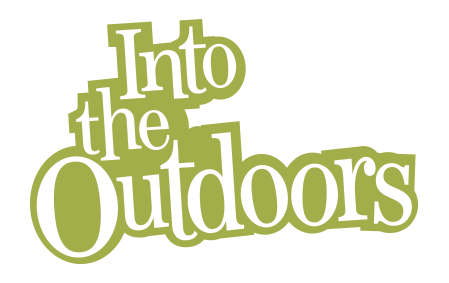 Then get outside, put on your working gloves, and choose your space for bird habitat. Encourage your class to create all the essential elements of a habitat: for example, set up “bird baths” by using buckets or pails of water, plant a pollinator garden with native flowers, and produce birdseed feeder ornaments or nest boxes. Volunteer Restoration Projects: Contact sanctuaries and conservancies near you! Ask the staff if your class can assist them in habitat restoration projects, such as tree/flower planting or removal of invasive species. Some conservancies even have “Adopt-a-Plot” programs where you and your class can adopt and tend to a part of the conservancy all year round. 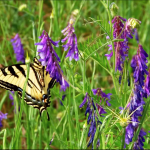 Explore ATC’s Pollinator Program for landowners. A number of educators' guides and tool kits. 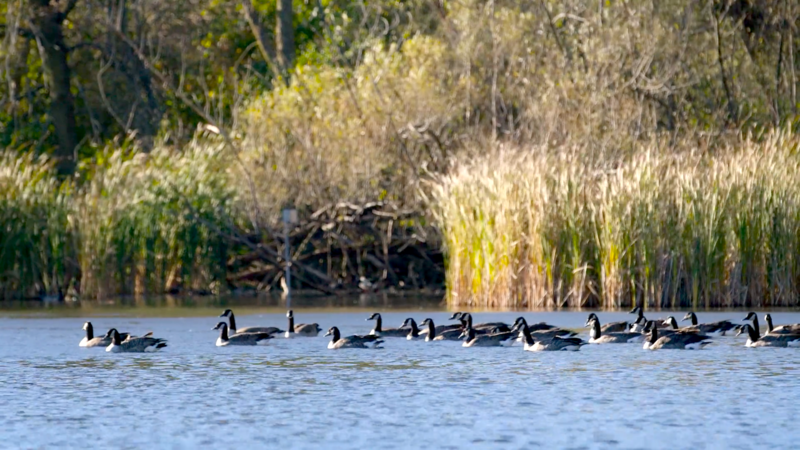 Tour the programs, animals, and events this wildlife sanctuary has to offer. 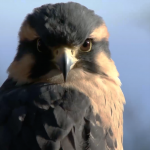 Resources, training, and news for bird educators. 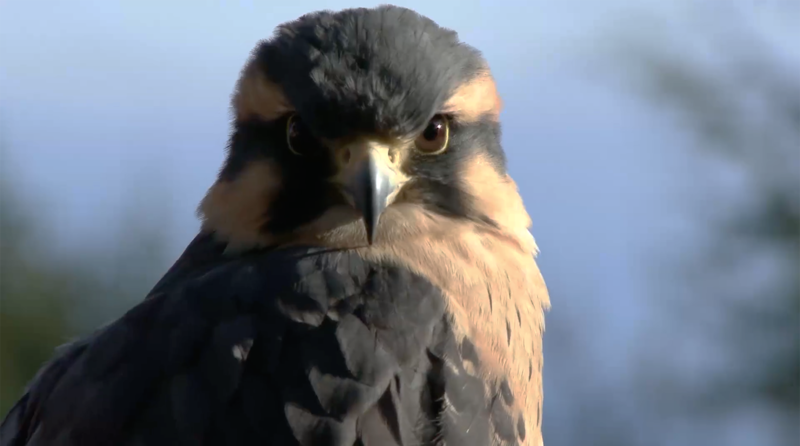 Discover a new world of birding. 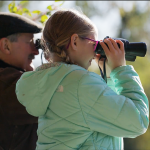 Investigate opportunities for learning about, enjoying, and conserving birds. • Over its 30-year lifespan, the artic tern will fly a distance equivalent to three trips to the moon and back – 1,433,400 miles! • Some sanctuaries protect critical habitat for endangered species, such as the California condor. The Sespe Condor Sanctuary manages habitat that the remaining 230 individual condors depend upon to survive. • Common buckthorn squeezes out native trees, shrubs, and wildflowers and creates poor nesting and foraging habitat for birds. Ask sanctuaries or conservancies near you about how you can help them reduce the spread of this invasive shrub! • Hummingbirds can fly forwards, backwards, and even upside down. • North American birds may fly distances of 500 up to 3,000 miles when migrating south during the winter. 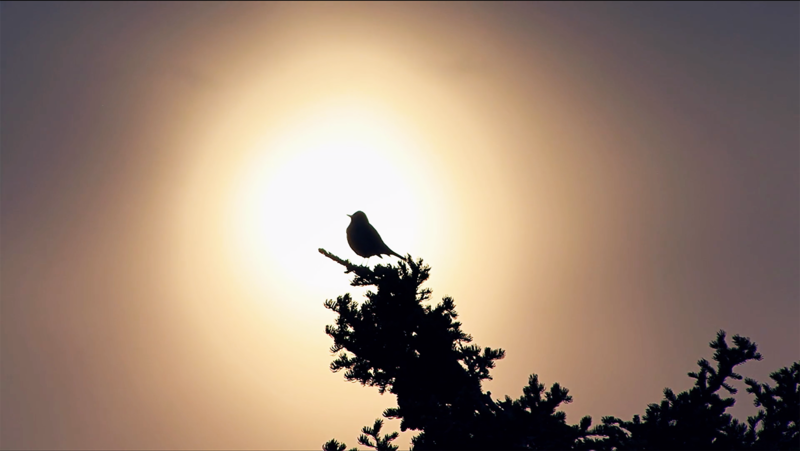 To fuel up, birds will feast for days to build up their fat reserves before migrating and flying south for the winter. Veeries will increase their body mass by 30 percent!